Activa Cleaning Services is the leader in providing you the highest standard in commercial and residential cleaning services at the most competitive prices. 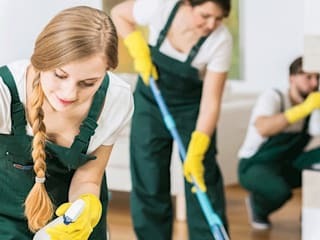 Trusted among many Melbourne businesses you know, our expert cleaners are all highly trained and committed to providing you outstanding service that puts your needs and satisfaction first. We offer wide range of services like domestic, commercial & industrial cleaning. Apart from this, we also provide vacate cleaning, carpet steam cleaning, factory and office cleaning. Furthermore, we also deal with flood damage restoration. Our transparent charges with no hidden costs and zero bond payments make us the one for the exceptional service. Our mission and value is to build a clean living environment through our work that end in a long term business relationship with our clients. All of our products are 100% chemical free and won’t harm your pets and children.